The Highland Folk Music & Dance Festival is a musical and dance festival that showcases the cultural traditions of the different ethnicities in Sarawak. 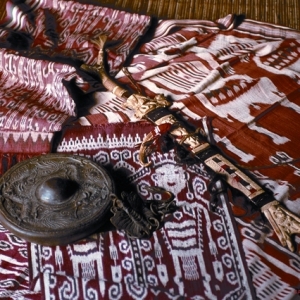 First held in 2003, the event was organized to attract tourists to Long Bedian and other villages in Tutoh Apoh, as well as to become a platform to introduce traditional music to the younger generation in a vibrant and celebratory way, encouraging them to take up the mantle and continue their traditions. 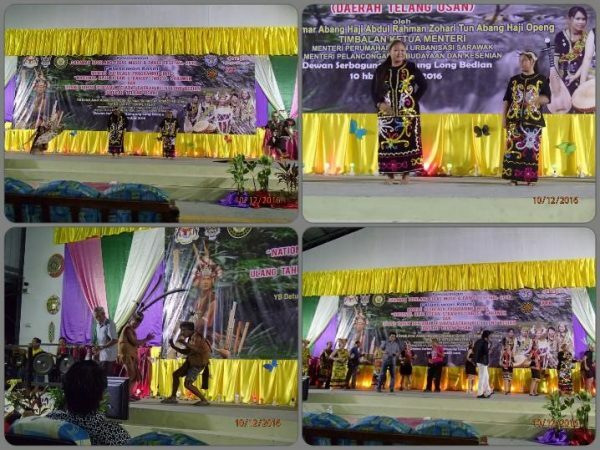 All nine Orang Ulu ethnic groups under the Federation of Orang Ulu Malaysia (Forum) took part in the performances in 2016 which were held for two nights. 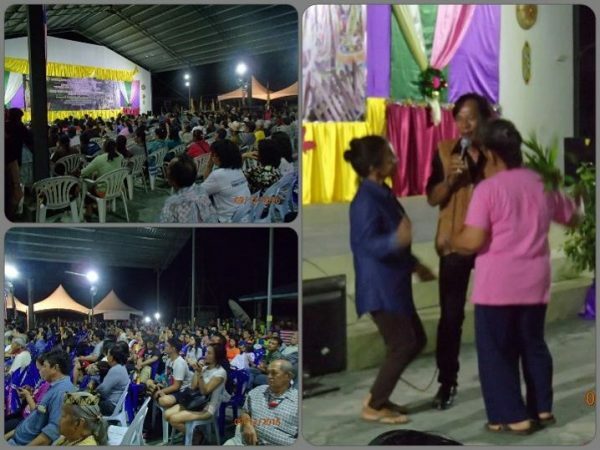 They comprise of Petipun Penan Sarawak, Sarawak Lakiput Association, Sarawak Lun Bawang Association, Sarawak Berawan Association, Sarawak Bisaya Association, Sarawak Kayan Association, Sarawak National Kenyah Association, Miri Rurum Kelabit and Sarawak Saban Association. 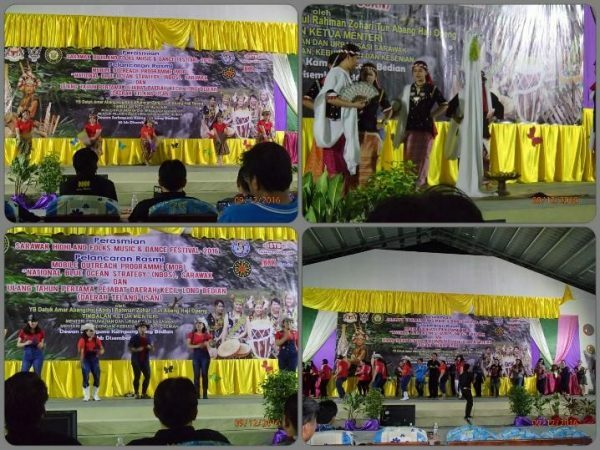 Beside that, the Federation of Miri Chinese Association (Long Lama), Dayak Bidayuh National Association (DBNA), Miri Kadayan Association, Sarawak Dayak Iban Association (Marudi) also participated. 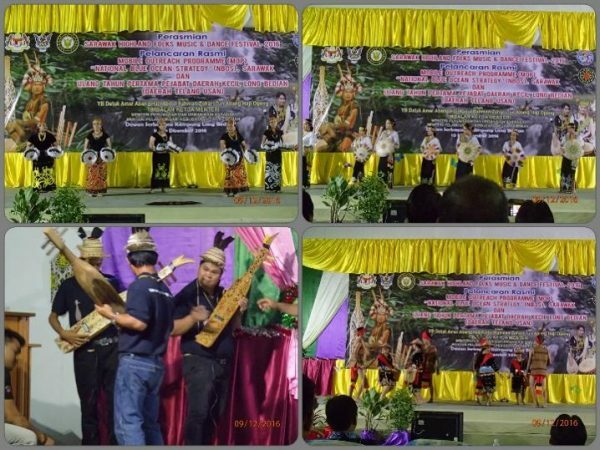 The 2016 Highland Folk Music & Dance Festival was also held to commemorate the first anniversary of Telang Usan’s elevation into a district and Long Bedian into a sub-district. Music and dance performances over the two nights were held by the different ethnicities. Around one thousand viewers were estimated to have attended the event over the course of two nights. Beside the cultural show, the organizer also invited a local singer to entertain the local who coming for the festival. 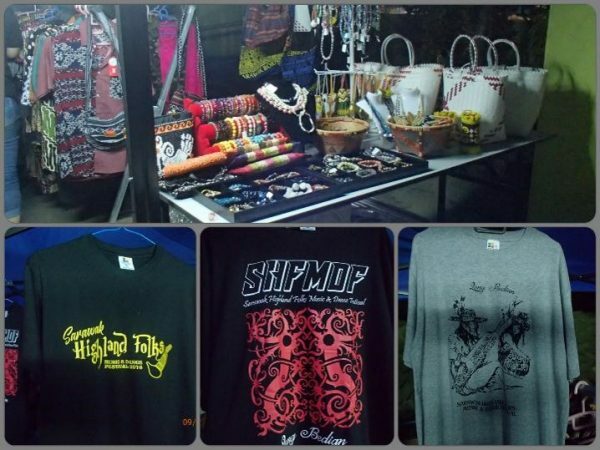 The Festival provided some side income for villagers selling food and drinks, as well traditional crafts, modern crafts with traditional ‘flair’ and event memorabilia. 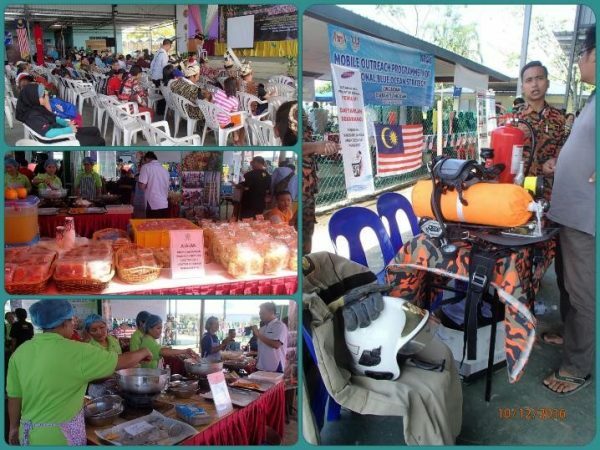 Over 10 government agencies including the Fire and Rescue Department, army personnel from the 9th Infantry Brigade, the Welfare Department, Kolej I-System, Malaysia Palm Oil Board (MPOB) and Agriculture Department were also present to give talks and cultivate public awareness on various subjects for the communities. 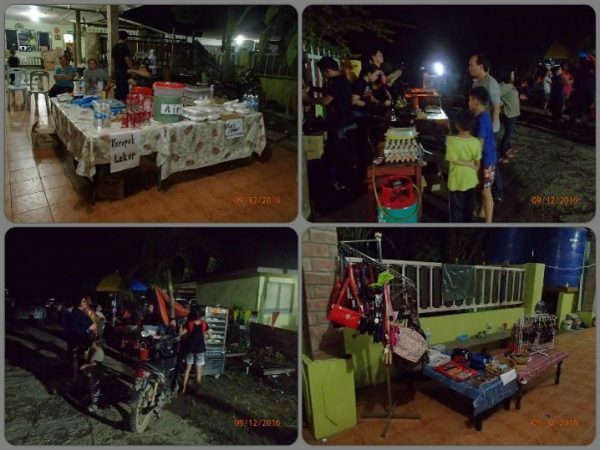 Safety demonstration by BOMBA and cooking demonstration by KEMAS. Various traditional games were held during the daytime which many visitors also participated in. 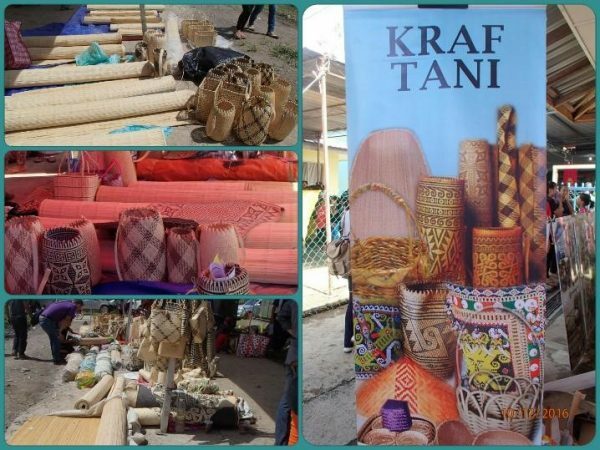 Apart from the performances, there were stall also set up by Penans from nearby longhouses who brought handicrafts such as mats, baskets bags and purses made from rattan to sell to visitors. 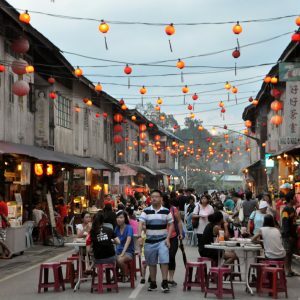 Although there are only 3 row of shoplots, the township will surprise you on what you can find, despite its rural location! 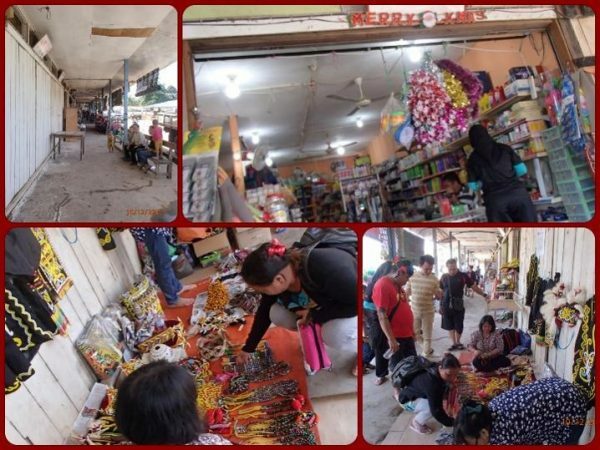 Its suggested that travelers visit in the morning, though most shops close during the festival (the shop owners can usually be found selling their wares at the festival itself. 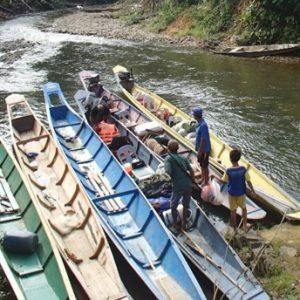 The township is also the main trading point for the nomadic tribe, the Penans, to trade wild meat and their jungle ware/handicrafts with middle-persons, who will later resell them in their shops once the Penan have moved on. 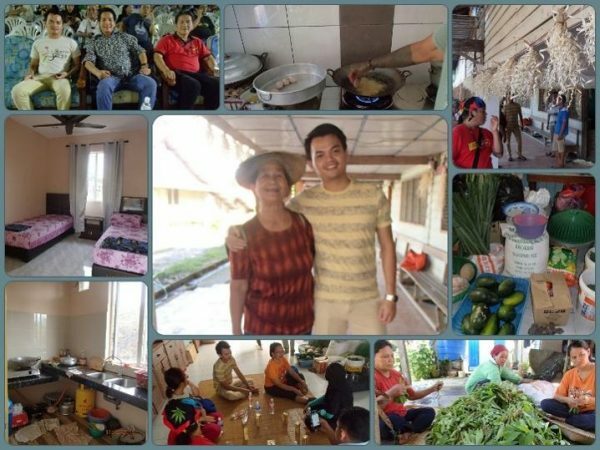 The longhouse, like many others in Sarawak, seems to house the elderly, the very young and their mothers. 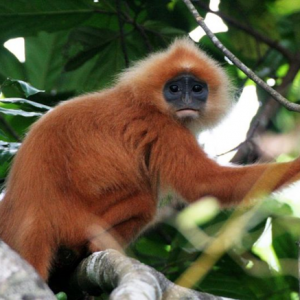 Many other inhabitants have moved to larger towns such as Miri to make a living. Some of them have built their own house nearby the Long Bedian village. 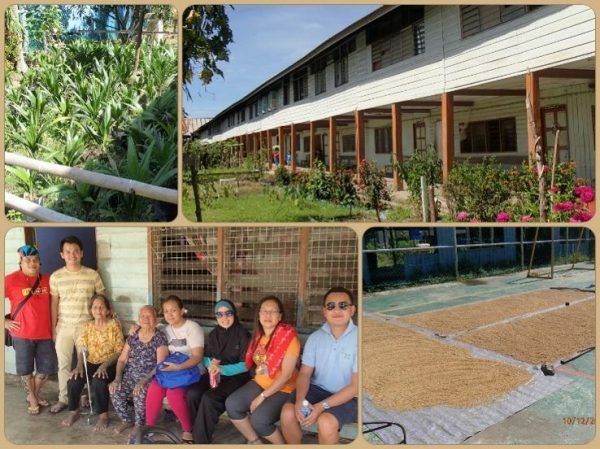 The community take up the usual agricultural activities to supplement their income. They have rice fields or ‘sawah padi’ on the perimeter of the village, and sole have taken up planting oil palm. 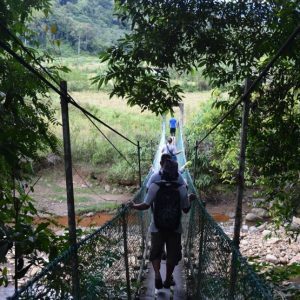 The journey to the nearby waterfall began with a 30 minute 4WD ride from Long Bedian to the Tenyok Rimba Resort, a community project that was built in the 1980-1990s. 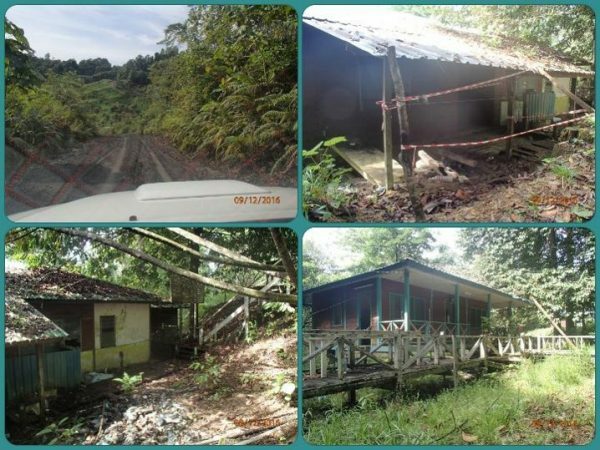 The resort is all but abandoned and is currently not open to the public for stays. Parking the car at the resort, the waterfall is a short 15 to 20 minute trek through the reserve’s beautiful and prime rainforest. 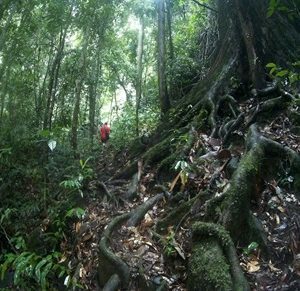 Along the way, trekkers can admire rock falls and towering green trees, surrounded by the peace of the rainforest. 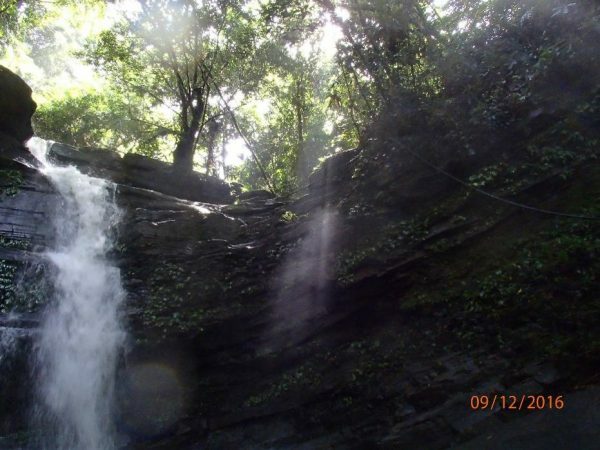 The beauty of the reserve is punctuated by the serenity of the waterfall. 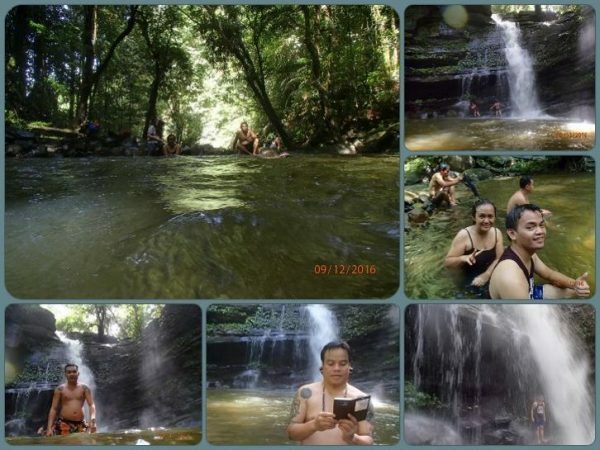 There are about 6 waterfalls located within Tenyok area where visitors can swim. 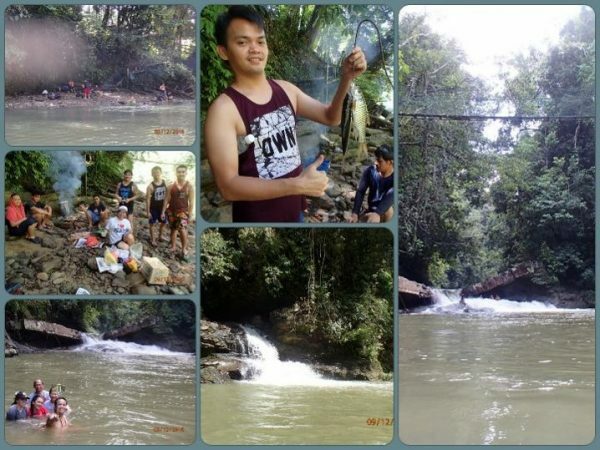 The river running between the Tenyok Rimba resort and Long Bedian is a great place for a quick dip and a picnic. 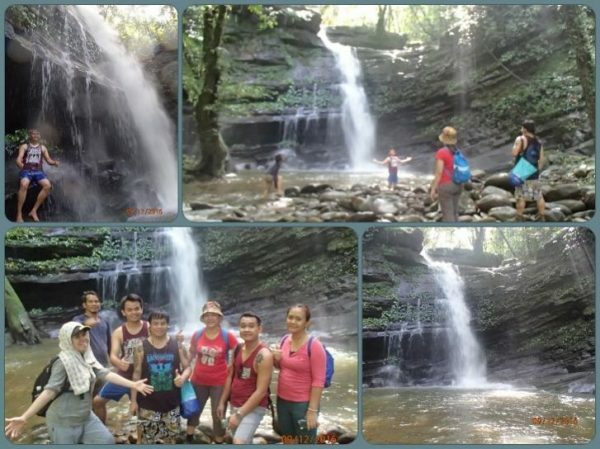 The trip proved to be a memorable visit for the group. 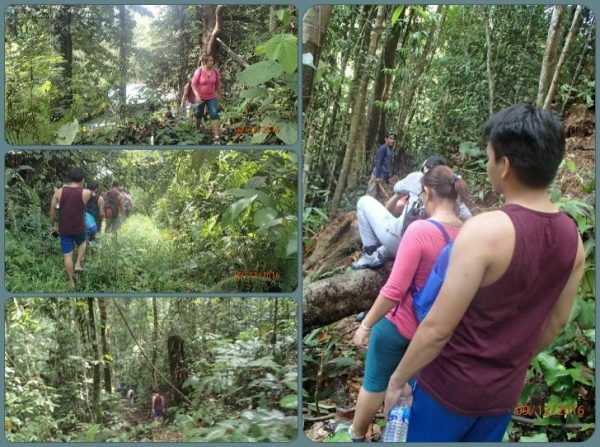 They express their gratitude to the guide Mr. Richard, and Ms. Joanna Ping Eng Oyok, the owner of D’village Homestay of Long Bedian (017 858 3166) where they stayed. They group encourages the locals of Long Bedian to continue and even increase their efforts in pushing cultural musical and dance performances during the Highland Folk Music & Dance Festival, encouraging the younger generation towards preserving their heritage. 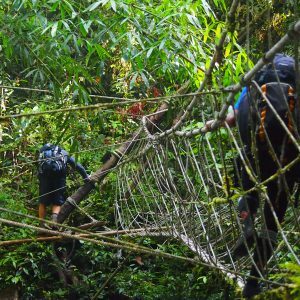 They also expressed hope for the future of the Tenyok Rimba Resort, which was beautifully located and would prove to be an amazing tourist location should the area be maintained, well managed and opened to the public once more.